R & C Appliance Service Inc. is a family owned appliance repair service established by father and son, Clay Verne Greene and Rick Greene in 1975 and has been serving residents in the North Carolina High Country for over 40 years. 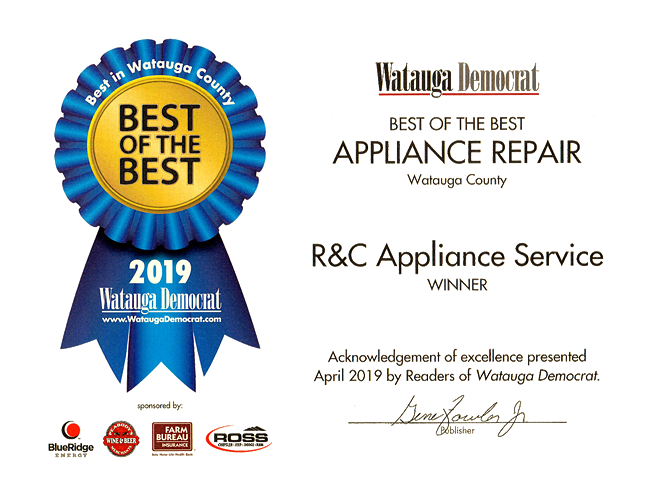 R & C Appliance is dedicated to providing its customers with honest, affordable and high quality appliance repair service, excellent customer service and an overall positive customer experience. 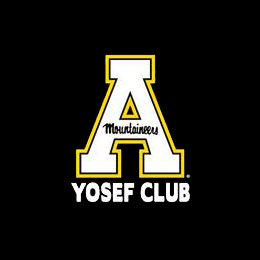 We provide in-home and shop repair service by factory trained and certified Technicians. 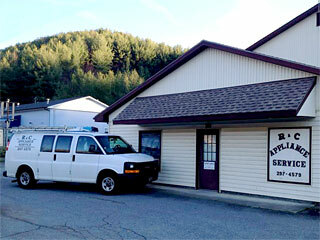 Appliance Service and Repair for the North Carolina High Country of Blowing Rock, Banner Elk and Boone NC. To schedule service on your appliance, call R & C Appliance Service at 828.297.4579. You may also request service through our E-Mail. For our “do it yourself” customers, R & C Appliance Service stocks many frequently used appliance parts and can order non-stock appliance parts with typically next day delivery for all of the major appliance brands listed below. See our Appliance Parts page for more information. R & C Appliance Service, INC also services Sears and Kenmore appliances that are out of warranty only.